It’s a welcome note of defiance and self-belief in a film that in many of its passages tips towards the sad story that Scott Rankin, director of Big hArt’s Namatjira Project (which the film documents), says he didn’t want to tell. 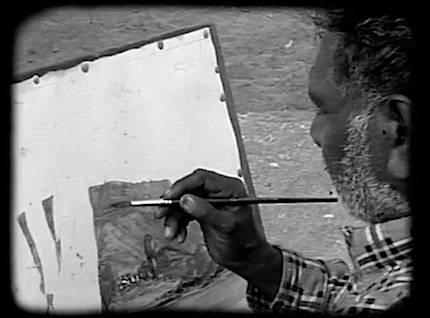 His ambition for the project’s theatre work, titled simply Namatjira, was chiefly to get a mostly white audience to accept the idea of a deep friendship between an Indigenous man, Albert Namatjira, and a white painter, Rex Battarbee: “They tried to achieve amazing things together and in the end did achieve them,” says Rankin, describing it as a “remarkable triumph”. 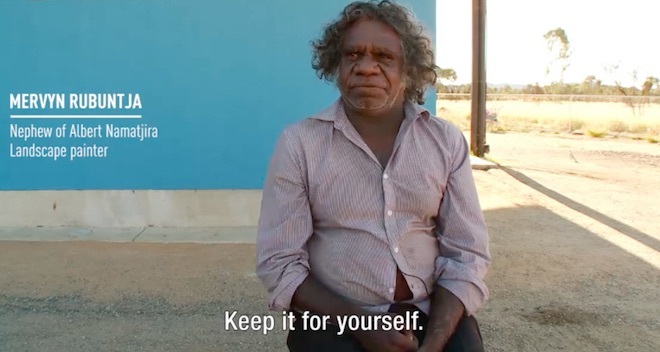 This, however, is not the film’s dominant story – the thing you end up thinking about afterwards – even though time is spent on tracing the friendship, using a mix of archival footage, scenes from the theatre work, interviews with Namatjira descendants, with Battarbee’s daughter, Gail Quarmby, and Rankin himself. The archival footage and audio is a real strength: much of it I had never seen or heard before and it is enough of a reason to go see the film. It is very moving to hear an audio recording of Namatjira singing in Arrernte over old footage of Tjoritja (the West MacDonnells); and equally as touching to see him interacting with the Ntaria children, responding to their curiosity with affection. It is interesting too to hear the inflection of another era in the rounded vowels of his English. It is sickening to hear the racist commentary of old newsreel footage covering his visit to a zoo. The greater emphasis of the film though is on the other aspects of the project, which were around bolstering Namatjira’s legacy. 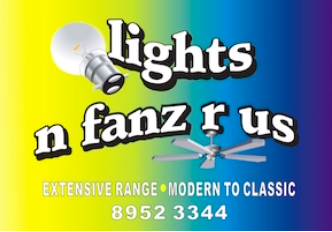 On the cultural front, the project has had notable achievements: the theatre work, which toured nationally and to the UK and was ultimately seen by some 50,000 people in 30 locations, raised the profile of the artists painting in the Namatjira tradition, many of them his direct descendants; the work around supporting the transmission of the tradition culminated in the Five Generations exhibition, shown at Araluen and at Parliament House in Canberra in 2014; and getting the artists’ art centre onto a better footing has seen it become independently incorporated as Iltja Njarra Many Hands, with its own studio and gallery and many developmental and exhibition opportunities. All this is reason for significant satisfaction but instead the film leaves a lingering sadness. This comes from the strand given over to telling the story of the financial legacy, and it is this strand that has dominated the promotion of the film and not surprisingly the media coverage of its release. 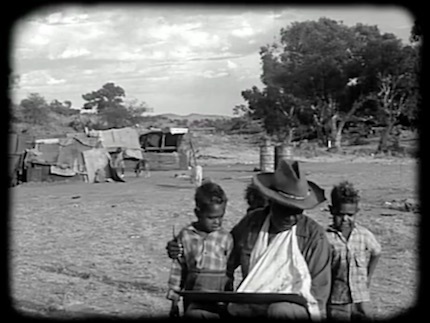 There is understandable shock and outrage that Namatjira’s descendants have not benefitted from the royalties that would have been theirs had the remaining portion of copyright in his works not been sold by the Public Trustee to Legend Press in 1983 (the film doesn’t look back further to the deal with Legend Press that Namatjira had entered into in his lifetime, for a royalty of just 12.5%, nor to what happened with Namatjira’s will). But outrage does not seem to be what the film shows the descendants as feeling. Rather it is a mix of mystification and hurt that is hard to separate from the raised, and possibly unrealistic, expectations of what that money might have meant over the years and what it might yet mean in the future. 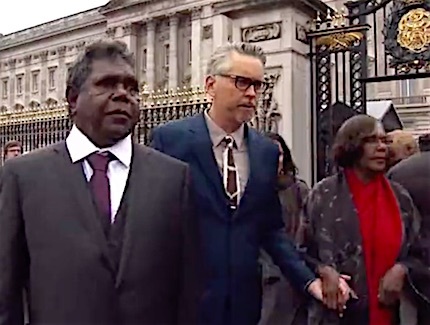 Later, with Lenie Namatjira, granddaughter of Albert, he meets the Queen in Buckingham Palace. In his mind this experience is conflated with his desire to own his own house, one that can’t be taken from him as his Territory Housing accommodation in Alice is threatening to be. “I don’t know if she can help me get land for a little house,” says Kevin. Lenie also thinks the “old lady” might give her land. 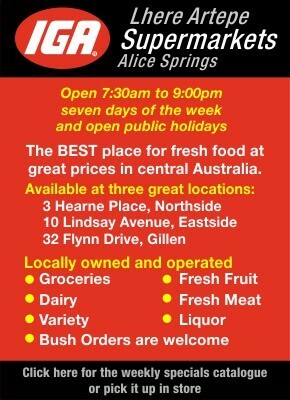 Rankin goes along with this: “From Buckingham Palace to homeless in Alice. The Queen cares but who else cares?” People with their hands on “the policy levers” should realise that this situation borders on neglect, he argues. Left: Kevin Namatjira, Scott Rankin, and Lenie Namatjira leaving Buckingham Palace. This emotive argument does not take into account the context of a housing crisis across the entire country and that is severe in many Aboriginal communities – it is not one man’s or one family’s plight. Nor does the argument allow that houses do not come to most people like manna from Heaven, but are the object of a lifetime’s wage labour (although it now seems even this may elude many of today’s youth, especially in the largest cities). 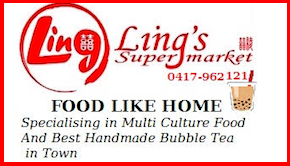 The provision of public housing, whatever its flaws in matters of supply and management, also necessarily comes with expectations of the tenants. These issues are obscured in the film, but I possibly would not even raise them if it all didn’t seem to leave Kevin Namatjira so down-hearted. After meeting the Queen, he expresses his worry about his family’s impression of him returning from London “empty-handed”. It would have been a false hope to imagine otherwise. In this respect, the film leaves the impression that Big hArt’s work has not been as empowering as it set out to be. Namatjira Project is showing at the Alice Springs Cinemas until September 27. It is her funeral today at Ntaria. I remember the huge new house she had at Trucking Yards. Brand new but she had her “family” all climbing through the windows because the doors were locked. No bed, it had been taken by “family”. She was often begging for a bed but I think if she had one it would also have been taken. Her art was delicate and inspired. I am glad I have one small piece. She would sometimes sleep at my house when everything got too difficult. I think if the royalty money had come through it might have meant their artwork as a family would never have appeared. They painted because they were hungry. 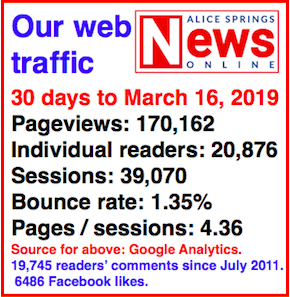 Alice Springs, 15 November 2017.